Now may be the time for us to consider bringing back the balance we have lost, reintroducing sacred language, and teaching that God and the worship of Him are the essential focus of our liturgy. A gentle reintroduction of orienting especially the Eucharistic Prayer toward God through a unified posture and direction of all toward the cross may be helpful (under the guidance of the bishop). The Liturgy of the Word can and should remain directed toward the people, for they are the target of this proclamation. A Prayer for the Internet from the 1946 Roman Ritual? Sure, and It’s Wonderful! The old Roman Ritual (published in 1946) is a magnificent collection of blessings and prayers. It has some of the most amazing little blessings of things it would never occur to you to find in such a collection. Along with the blessings of expected objects (e.g., statues, religious medals) are blessings, often elaborately laid out, for things such as seismographs, typewriters, printing presses, fishing boats, fire engines, stables, medicine, wells, bridges, archives, lime kilns, automobiles, mountain-climbing equipment, and electric dynamos. In that old ritual (which it is permitted to use), there is a remarkable prayer for a telegraph—yes, a telegraph. It quite elaborately lays out psalms and antiphons, but I will only present here the prayer of gratitude at the end, just before blessing it with Holy Water. To my mind, it is also applicable as a prayer, expression of gratitude, and blessing for a computer or for the extended “cloud” of computers known as the Internet. The prayer is both thrilling and fitting. It is a minor masterpiece if you ask me. Though written sometime prior to 1945, and likely after 1830, its basic structure fits well what we do now with the Internet. Deus qui ámbulas super pennas ventórum, et facis mirabília solus: concéde, ut per vim huic metállo índitam fulmíneo ictu celérius huc abséntia, et hinc álio praeséntia transmíttis; ita nos invéntis novis edócti, tua grátia opitulánte, prómptius et facílius ad te veníre valeámus. Per Christum Dóminum nostrum. Amen. O God, who walkest upon the wings of the wind, and alone workest wonders; by the power inherent in this metal, thou dost bring hither distant things quicker than lightning, and transferrest present things to distant places. Therefore, grant that, instructed by new inventions, we may merit, by thy bounteous grace, to come with greater certainty and facility to thee. Through Christ our Lord. Amen. Magnificent! It almost paints a picture in the mind. Yes, such beauty, and a picture of the swiftness of information going hither and yon, like lightning, or as on the wings of the wind. May this wondrous tool serve to draw us closer to God and not be corrupted by sinful curiosity, hostility, defamation, profanation, or prurient temptations. One word, “metal,” may need adjusting in order to use it for a computer or the Internet. What word would you suggest (perhaps silicon)? Perhaps simply “computer” would work, but more is in mind: the whole Internet is part of what we are grateful for and ask blessings for. Of course we may not be in a position to bless the entire Internet, and our blessing or prayer of gratitude is only to be directed to our computer, our one portal to the vast communication network. Anyway, this is just a thought. The video below of the history of the telegraph reminds us that the first telegraph message sent by Samuel Morse was “What hath God wrought?” This almost seems to have influenced the prayer in the ritual! One of the most concise and cogent descriptions of these often-strident times came from Joseph Cardinal Ratzinger in 1986. It is contained in, of all places, his treatise on the theology of sacred music in a book called The Feast of Faith (Ignatius Press, 1986). His comments have recently been republished in a larger compendium of his works: Collected Works: Theology of the Liturgy (Ignatius Press, 2014, Vol 11). It hard to describe our times as anything but contentious. Loud, strident protests often predominate over reasoned discourse and thoughtful argumentation. To be sure, every era has had, and needed, protest and public opposition to injustice. There is a time and a place for loud protest and the use of memorable sound bites. However, it is the predominance of loud protest and civil disobedience that stands out today. Sound bites, slogans, and simplistic “war cries” have to a large extent replaced thoughtful, reasoned discourse. Volume, power, and visually flashy techniques are prized; they are being used more and more. Such approaches too frequently produce more heat than light. I would like to note a beautiful saying of Mahatma Gandhi … Gandhi refers to the three habitats of the cosmos and how each of these provides its own mode of being. The fish live in the sea, and they are silent. The animals of the earth scream and shout; but the birds, whose habitat is the heavens, sing. Silence is proper to the sea, shouting to the earth and singing to the heavens. Man has a share in all three of them. He carries the depths of the sea, the burden of the earth, and the heights of the heavens in himself. And for this reason, all three properties also belong to him: silence, shouting, and singing. Right liturgy … liberates us from ordinary, everyday activity and returns to us once more the depths and the heights, silence and song … Right liturgy … sings with the angels … is silent with the expectant depths of the universe, and that is how it redeems the earth (Joseph Cardinal Ratzinger Collected Works, Vol 11, Theology of the Liturgy, Ignatius Press, p. 460). This is a remarkable analysis and an insightful application of liturgy and cosmology to the issues and imbalances of our day! It is in the vein of “Save the Liturgy, save the world.” For indeed, only in the worship of God do we find our true selves. Only in the liturgy is our true personality formed. The human person in his glory unites the material and spiritual orders. We are capable of pregnant, expectant silence; of the joyful shout of praise and the Gospel going forth; and of the song of Heaven. As Cardinal Ratzinger pointed out, though, we are too often preoccupied with and value only one aspect: the shouting of the earthbound creatures of this world. Good and proper liturgy trains us in all three aspects (silence, shouting, and singing) and accomplishes the balance that is often lost today. The liturgy is a training ground, not only for our heavenly destination, but also in what it means to be truly human. We live in times when many trivialize God or at least reduce Him to someone who can be managed and understood. God the Father has become more of a grandfather or a philosopher king than the Ancient of Days, dwelling in unapproachable light, surrounded in angelic praise and with fire going out before Him. Similarly, the Holy Spirit is just a quiet dove or a gentle force rather than the rushing wind and tongues of fire that stirred the early Church. Finally, Jesus is reduced to the laid back, harmless hippie talking about flowers and birds, or some social reformer who just “cares” for people rather one who challenges them and insists they accept His truths. Even before His resurrection and ascension, Jesus was no pushover to those who really encountered Him: demons trembled before Him, religious leaders feared Him with an almost apoplectic reaction, people fell to their knees in front of Him, and His own apostles were described by Mark as amazed and afraid (Mk 10:32). Jesus’ words and answers left the crowds spellbound and even His enemies were afraid to ask Him any more questions. On the Lord’s day I was in the Spirit, and I heard behind me a loud voice like a trumpet, saying, “Write in a scroll what you see and send it to the seven churches: to Ephesus, Smyrna, Pergamum, Thyatira, Sardis, Philadelphia, and Laodicea.” Then I turned to see the voice that was speaking with me. And having turned, I saw seven golden lampstands, and among the lampstands was One like the Son of Man, dressed in a long robe, with a golden sash around His chest. The hair of His head was white like wool, as white as snow, and His eyes were like a blazing fire. His feet were like polished bronze refined in a furnace, and His voice was like the roar of many waters. He held in His right hand seven stars, and a sharp double-edged sword came from His mouth. His face was like the sun shining at its brightest. When I saw Him, I fell at His feet like a dead man (Rev 1:10-17). But He placed His right hand on me and said, “Do not be afraid. I am the First and the Last, the Living One. I was dead, and behold, now I am alive forever and ever! And I hold the keys of Death and of Hades. Therefore, write down the things you have seen, and the things that are, and the things that will happen after this (Rev. 1:18-19). For all of us, a balance must be found between a cringing fear and the widespread trivializing of the Lord that has taken place in our times. Jesus is the ruler of the Kings of this earth, the Great I AM, and Lord of all, and he loves us and has died for us. All of this should inspire a deep love for him and a reverential spirit that is both docile and grateful. I was visiting a church not long ago when I noticed a boy in line for Communion wearing a t-shirt that read “Jesus is my homeboy.” I guess I can see how that might help … when it comes to rediscovering one’s dignity as a brother of Christ; but remember, Jesus is also our King. If you don’t find his divine power a little intimidating, there is probably something wrong with you. … We should not be in the habit of thinking that Jesus would be grateful for our friendship. We should love him, but we should also be in awe of him. Don’t get me wrong, our ultimate objective is to discover the perfect love that “casts out all fear” (1 John 4:18), but be careful you don’t wind up sliding into a comfortable familiarity that drives out all respect … fear and love must go together (Humility Rules, pp 32-34). Much of this was based on a mistaken notion that the Mass is a representation or reenactment of the Last Supper—it is not. It is the making present of the passion, death, and resurrection of Christ. Even at the Last Supper, Christ pointed beyond it, to the cross and resurrection. And even if the Last Supper is recalled, we ought to remember that the Passover meal (the context for the Last Supper) was no casual affair. Only the best was used; formality and ancient customs prevailed for this night that was different from every other night. Liturgical imagery must rise above both the saccharine, porcelain-doll portraits of the 19th century holy cards and the hyper-realistic and overly optimistic imagery of Christ as a chummy first century Mediterranean blessing our children [and hugging us on judgment day] …. The Liturgical Christ is Sovereign Mediator between God and man, the eternal High Priest, the divine Teacher, the judge of the living and the dead, caught up into the light of eternity, and [beyond] time and space. The Liturgical Christ cannot be domesticated (p. 75). There is too little of this appreciation in our modern liturgies. I do not claim that the only remedy is to use more ancient forms. There are modern forms that can and do capture the glory of God. Gospel music, for example, emphasizes a high Christology and a Christ who can do anything but fail, who can make a way out of no way, and of whose goodness “I cannot tell it all.” A modern Christian song by Hillsong speaks of the Lord as King over the storm, in whom I will be still and know that He is God. The more ancient forms have much to teach us as well, for they strongly emphasize the otherness of God and a reverential stance and silence before Him. He is above the latest trends and ephemeral issues. To him who loves us and has freed us from our sins by his blood and made us a kingdom, priests to his God and Father, to him be glory and dominion forever and ever. Amen. Behold, he is coming with the clouds, and every eye will see him, even those who pierced him, and all tribes of the earth will wail on account of him. Even so. Amen (Rev 1:5-7). The first reading for Monday of the 15th week of the year is provocative, especially for those of us who hold the Liturgy in high esteem, as well we should. However, it is possible for us to distort even great things like the Mass and the sacraments. Hear the word of the Lord, princes of Sodom! Listen to the instruction of our God, people of Gomorrah! What care I for the number of your sacrifices? says the Lord. I have had enough of whole-burnt rams and fat of fatlings; in the blood of calves, lambs and goats I find no pleasure. When you come in to visit me, who asks these things of you? Trample my courts no more! Bring no more worthless offerings; your incense is loathsome to me. New moon and sabbath, calling of assemblies, octaves with wickedness: these I cannot bear. Your new moons and festivals I detest; they weigh me down, I tire of the load. When you spread out your hands, I close my eyes to you; Though you pray the more, I will not listen. Your hands are full of blood! Wash yourselves clean! Put away your misdeeds from before my eyes; cease doing evil; learn to do good. Make justice your aim: redress the wronged, hear the orphan’s plea, defend the widow (Is 1:10-19). Our worship can lack integrity. That which is supposed to glorify God and bring forth in us a holy obedience can become lip service. God seeks hearts that are humble, docile, loving, and repentant. We cannot satisfy Him just by singing a few hymns, saying some prayers, or attending Mass. These things, good though they are, are meant to bring about a conversion in us that makes us more loving of both God and neighbor, less violent, more just, more merciful, more generous, and more holy. Our worship should effect change in us such that we cease doing evil, learn to do good, strive for justice, address injustice, and defend and help the poor, the unborn, the elderly, the dying, and the helpless. An additional problem with our worship today is that God has become almost an afterthought. Much of our liturgy is self-centered, self-congratulatory, and anthropocentric (rather than theocentric). 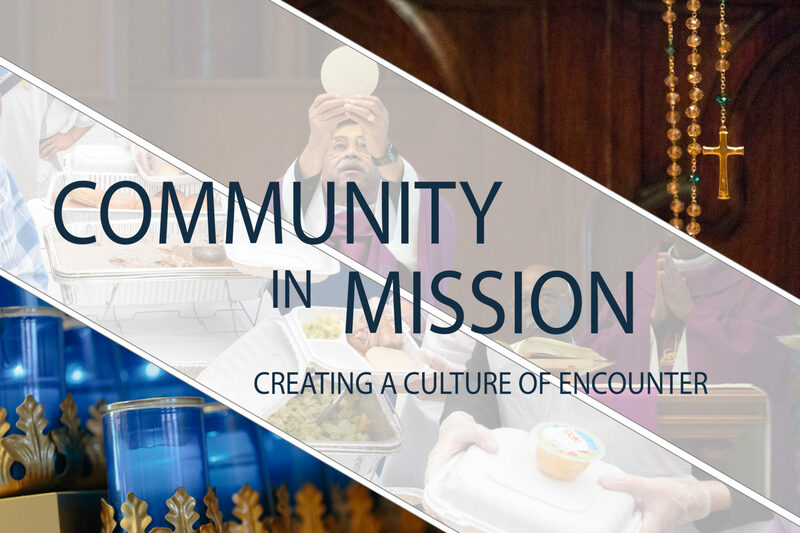 We are “the aware, gathered community celebrating itself.” While the Mass should focus on God and summon us to humility and joy before Him, too often it seems more an exercise in self-congratulation. We are very narcissistic, even in a communal setting. God cannot be pleased with all of this. Even if our worship is rightly ordered, we are not going to buy Him off that easily. God wants an obedient heart more than sacrifice. Sacrifice without obedience is a sham. We need God to restore our integrity and give us a new heart. We are “dis-integrated,” in the sense that pieces of our life that should be together (e.g., worship and obedience, liturgy and healing) are not. Too often our worship does just the opposite of what it should. Instead of drawing us more deeply into the love and obedience of God, it becomes the very occasion of keeping Him at a distance and seeking to placate Him with superficial gestures. This makes our worship a lie and an insult to Him. God doesn’t mince words in the passage above when He says how displeased He is. We need God to give us a new heart, one that loves Him as well as the people and things that He loves. Only then will our worship will truly reflect the heart that God seeks: a loving, humble, and generous one. May our worship give us a new heart and deepen our commitment to God and neighbor! Catholics are often unaware just how biblical the Sacred Liturgy is. The design of our traditional churches; the use of candles, incense, and golden vessels; the postures of standing and kneeling; the altar; the singing of hymns; priests wearing albs and so forth are all depicted in the Scriptures. Some of these details were features of the ancient Jewish Temple, but most are reiterated in the Book of Revelation, which describes the liturgy of Heaven. The liturgy here on earth is modeled after the liturgy in Heaven; that is why it is so serious to tamper with it. The Book of Revelation describes the heavenly liturgy and focuses on a scroll or book that contains the meaning of life and the answers to all we seek. It also focuses on the Lamb of God, standing but with the marks of slaughter upon it. Does this not sound familiar? It is the Liturgy of the Word and the Liturgy of the Eucharist. We do well to be aware of the biblical roots of the Sacred Liturgy. Many people consider our rituals to be empty and vain, “smells and bells.” Some think austere liturgical environments devoid of much ritual are “purer” and closer to the worship in “spirit and in truth” that Jesus spoke of in John 4. To such criticisms we must insist that our rituals, properly understood, are mystical and deeply biblical. Further, they are elements of the heavenly liturgy since almost all of them are mentioned as aspects of the worship or liturgy that takes place in Heaven. In this light, it is a serious mistake to set them aside or have a dismissive attitude toward them. With that in mind we ought to consider the biblical references to the most common elements of Catholic and Orthodox liturgies. I have added my own occasional note in red. Rev 1:12-13 Then I turned to see the voice that was speaking to me, and on turning I saw seven golden lampstands, and in the midst of the lampstands one like a son of man. In traditional catholic parishes, there are six candles on the high altar and a seventh candle is brought out when the bishop is present. Rev 4:6 Seven flaming torches burned in front of the throne. Rev 9:13 The sixth angel sounded his trumpet, and I heard a voice coming from the horns of the golden altar that is before God. Rev 8:3 Another angel, who had a golden censer, came and stood at the altar. He was given much incense to offer, with the prayers of all the saints, on the golden altar before the throne. Daniel 7:9 As I looked, thrones were placed and one that was ancient of days took his seat; … In the Sacred Liturgy, the chair of the priest is prominent. But, as he takes his seat, we are invited to see not Father Jones, but rather the Lord Himself presiding in our midst. Rev 4:4, 10 With golden crowns on their heads … they cast down their crowns before the throne … In the Liturgy, the Bishop may only wear his miter at prescribed times. But when he goes to the altar he must cast aside his miter. The priest who wears the biretta in the Old Mass is instructed to tip his biretta at the mention of the Holy Name and to lay it aside entirely when he goes to the altar. Rev 5: 1 And I saw in the right hand of him who was seated on the throne a scroll written within and on the back, sealed with seven seals; and I saw a strong angel proclaiming with a loud voice, “Who is worthy to open the scroll and break its seals?” And no one in heaven or on earth or under the earth was able to open the scroll or to look into it, and I wept much that no one was found worthy to open the scroll or to look into it. Then one of the elders said to me, “Weep not; lo, the Lion of the tribe of Judah, the Root of David, has conquered, so that he can open the scroll and its seven seals.” In the ancient world, books as we know them now had not been invented. Texts were written on long scrolls and rolled up. Rev 5:8 And they sang a new hymn: Worthy are you O Lord to receive the scroll and break open its seals. For you were slain and with your blood you purchase for God men of every race and tongue, and those of every nation. Rev 14:1 Then I looked, and lo, on Mount Zion stood the Lamb, and with him a hundred and forty-four thousand who had his name and his Father’s name written on their foreheads … and they sing a new song before the throne and before the four living creatures and before the elders. No one could learn that song except the hundred and forty-four thousand who had been redeemed from the earth. Rev 5:14 and the elders fell down and worshiped In today’s setting, there is seldom room for everyone to lie prostrate, flat on the ground. Kneeling developed as a practical solution to the lack of space, but it amounts to the same demeanor of humble adoration. Rev 12:1 And a great portent appeared in heaven, a woman clothed with the sun, with the moon under her feet, and on her head a crown of twelve stars; 2she was with child and she cried out in her pangs of birth, in anguish for delivery. Rev 8:3 Another angel, who had a golden censer, came and stood at the altar. He was given much incense to offer, with the prayers of all the saints, at the golden altar before the throne. Rev 15:16 The angels were dressed in clean, shining linen and wore golden sashes around their chests. Here is but a partial list, except for one quote drawn only from the Book of Revelation. I invite you to add to it. There is a sobering passage in the Book of Leviticus that speaks to the need for priests to be faithful to the prescribed liturgical norms. While the offense described in this passage is complex, the main point is clear enough: The liturgy is revealed by God and is not the personal plaything of the priest or the congregation. Although some of the liturgical edicts of the Old Covenant have been fulfilled and are therefore no longer binding, only the Church, in careful discernment, can set liturgical norms; God’s priests and people must not stray from them. Now Nadab and Abihu, the sons of Aaron, each took his censer and put fire in it and laid incense on it and offered strange fire before the Lord, which he had not commanded them. And fire came out from before the Lord and consumed them, and they died before the Lord. Then Moses said to Aaron, “This is what the Lord has said: ‘Among those who are near me I will be sanctified, and before all the people I will be glorified.’” (Leviticus 10:1-3). Wow, two priests struck dead by God for a liturgical violation! The severity of this moment ought to make us more cautious about brushing off liturgical abuses as “no big deal.” And while not all liturgical errors are equally serious, intentionally dispensing with sacred norms is highly displeasing to God. Although the wording is not completely clear, it is likely that Nadab and Abihu each took “his” own censer rather than the sacred thurible of the sanctuary. However, it is also possible that the “his” referred to Aaron, and that Nadab and Abihu each took Aaron’s censer (see # 3 below). They seem to have offered it together, whereas the incense was generally offered by only one priest at a time. They offered the incense at an unauthorized time (apart from the morning and evening sacrifice). Later on in Leviticus, the text indicates that Nadab and Abihu had partaken too much of the drink offering and were likely intoxicated (see Leviticus 10:9). In other words, the purpose of the liturgy is not to glorify man. It is not to entertain. It is not to serve as an occasion for priests to boast or to engage in unauthorized and egocentric displays. The purpose of the liturgy is that God be glorified and known as holy. Sadly, many people today see the liturgy as a stage upon which man is to be exalted and entertained. Much time is devoted to announcements, self-referential hymns, self-congratulatory outbursts. Liturgical norms are often set aside in service of human preference or the ego of a priest who thinks his own words and gestures far outshine what the “institutional” Church and sacred tradition have directed. Speed, convenience, and comfort seem to far outweigh any notion that the liturgy involves offering a sacrifice to God in gratitude and obedience. This does not mean that the sacred liturgy has to be unreasonably severe, slavishly robotic, or wholly unconcerned with the good of God’s people. Charity and prudence both require that the liturgy also manifest God’s mercy, goodness, and truth in ways that are intelligible and helpful to God’s people. In general, though, the balance has tipped so far away from glorifying God that we must constantly reminded ourselves that God is the point, not us. When He is the point we are blessed, for we look beyond our often petty and vain pursuits and come to find our true selves in God. This passage from Leviticus should remind us that misconstruing the sacred liturgy is displeasing to God—not because He has a big ego, but because such abuse harms us. We were made to glorify God and find true happiness in so doing. Liturgical abuse in service of anthropocentric interests makes our liturgies small-minded and insular. Ultimately it is we who are deprived of our truer and greater joy, which is God Himself.